At St. Luke’s, we are firm believers in opportunity. Our team is dedicated to providing the best opportunities possible for our students to learn, grow, and excel, not only academically and emotionally, but spiritually as well. We believe learning in a Christian environment is the best place for students to excel, innovate and inspire creativity, as they grow surrounded by love, safety and support from their teachers. Middle schoolers and all other age groups are treated as “unrepeatable miracles of God” and are encouraged to explore their individual talents and abilities, exposed to robust fine arts, technology and athletic programs. St. Luke’s middle school graduates are equipped with a strong spiritual foundation that strengthens their sense of self and allows them to function well in a pluralistic world that will challenge their core beliefs and values. Amazing academic and accountability experiences are part of student life, including the opportunity to earn high school credits, impact the community through service learning and outreach, experiential learning and much more. More than 85% of our 8th grade students consistently have earned at least one high school credit. All of our students were created with God-given talents that spark innovation and creativity. 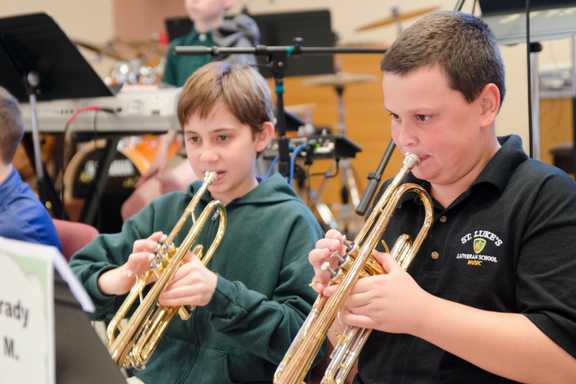 Our middle school students are able to explore these talents with more than 20 diverse offerings in electives, including Forensic Science, String Orchestra, Playing the Stock Market, Engineering, Drama and many more. Our curriculum is strategically planned by faculty to help our students develop their love of learning with academic rigor including flexibility based upon student needs. Students have opportunities to meet national authors, be engaged in hands-on experiential learning, all integrated with Christ and Scripture in mind. We believe that students are all created with their own God-given talents and strengths. Our Middle School students have the opportunity to experience a variety of learning opportunities, including: Middle School Service Days, Wildcat Band, Engineering, Forensic Science, and Drama! Every middle school student learns about physical fitness, nutrition, and a variety of fundamental skills for sports. Students learn how to create a workout plan and set goals for their own physical fitness. Interscholastic sports are encouraged to develop teamwork and sportsmanship, while exhibiting the essentials of the game. Learning a foreign language helps boost mental agility to keep the mind active and alert. 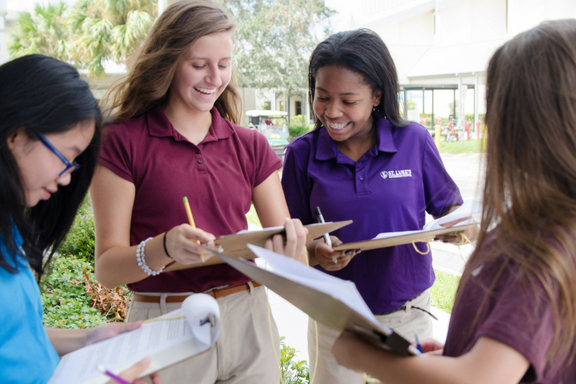 Our middle school students take Spanish as a foreign language, and in 8th grade take Spanish at a high school level, with the opportunity to earn a high school credit. Students in middle school are given their own email account as well as the resources available in Google’s education suite. Each classroom has a dedicated mobile computer lab, giving students unfettered access to technology. Student curriculum, resources, and correspondence are all accessible online from anywhere. St. Luke’s MakerLab enables students to gain hands-on experience with a 3-D printer, mobile app development, and robotics.